To start, the couple you see in the gallery are married in real life, Raelyn and Davie, who have been together since they were teenagers! They are a super adventurous, fun loving couple, who enjoy mountain hikes and adventure. So we really wanted the shoot to reflect something they would actually do together if they were to elope. We had to climb down an incredibly steep 40 foot mountain cliff to get to the falls, which with the table and decor was an incredible feat. I can still barely believe we moved all those beautiful pieces up AND down! Our models and a few heaven sent strangers helped us along the way, but it was mostly just Darcie, from Engaged by Darcie, and I, who did the majority of the heavy lifting. The weather was extremely unpredictable with the forecast calling for rain and snow, and we almost called the shoot off multiple times, but in the end we felt since we are wedding vendors we should embrace whatever elements came our way, just as we would for a clients elopement or wedding. I am SO GLAD we did! I especially feel as if the snow and cloudy weather really add to the romance and moody feel of these photos. As you can see our candles were even unable to even stay lit thanks to the wind and water coming off of the falls. We wanted to put something together that was romantic and somewhat glamorous, but still an adventurous, and not too serious, to truly reflect this real life couple we were shooting. 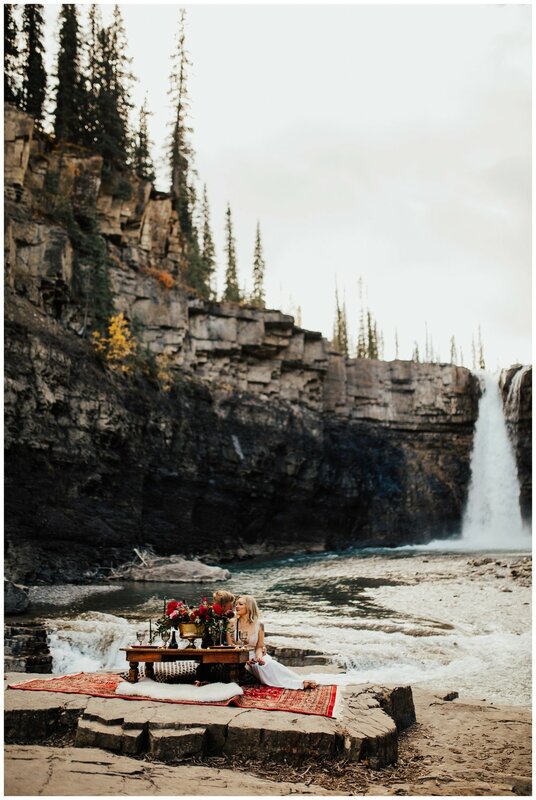 We wanted a colour scheme that would really pop against the strikingly beautiful backdrop that is, Crescent Falls, but we wanted to really create something unique that we had never seen before! 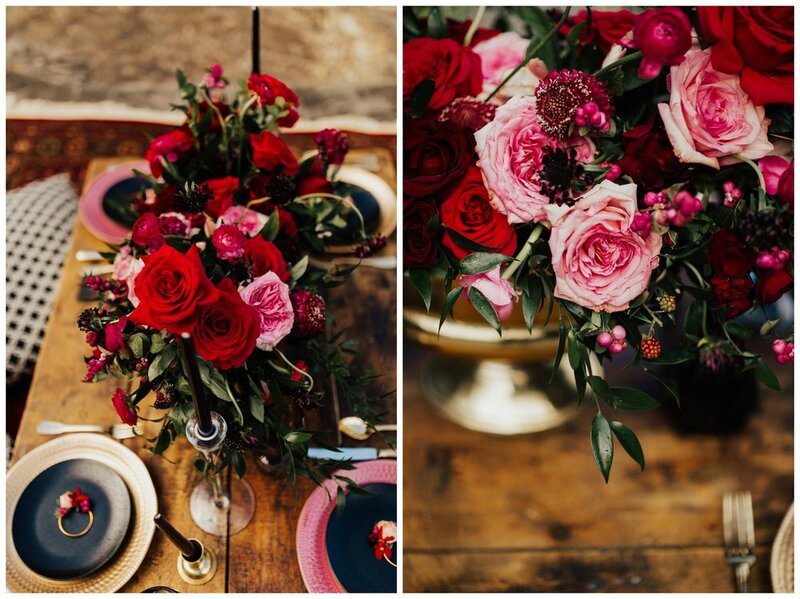 I sincerely hope you enjoy viewing this collection of photos as much as we enjoyed putting this shoot together, it was truly such a labor of love.